Linda grew up in poverty in North Philadelphia. She had the experience of attending both high- and low-performing schools and was struck by how much her prospects were affected by less effective teaching that did not challenge her. She was determined to become a teacher and help remedy the situation for others. She has now been a teacher for over thirty years. She spent twenty years in special education, but has recently turned around three failing schools as principal. Two of the schools were on the federal ‘Persistently Dangerous Schools’ list when she took over. Linda’s methods emphasise practical problem solving and moving forward from obstacles. As instructional leader of the school, Mrs. Cliatt-Wayman shares the responsibility for every lesson that is taught in every classroom everyday. In that way, she is a co-teacher in every classroom working hard to provide advance feedback on lesson plans to enhance instructional delivery for all 25 of her teachers. At times she joins in the lesson to model and engage in the learning. At her previous school she achieved a dramatic rise in proficiency rates and over 90% of seniors are now accepted into college. The foundation of her approach is a school-wide discipline system and the development of five core values: excellence, focus, integrity, perseverance and tradition. Special emphasis is put on instruction in small groups, which fosters collaborative learning and allows differentiated instruction at the same time. Linda has shared her approach widely. 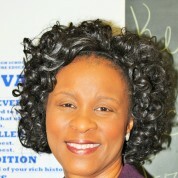 She has been featured on ABC News and her TED talk “How to Fix a Broken School” has received over a million views. Join the #TeachersMatter movement by sharing Linda Cliatt–Wayman’s update.